Most people have a jar of garlic powder somewhere in their kitchen arsenal of flavorings. It is simply ground up dehydrated garlic. Garlic powder has a somewhat different, milder flavor than its fresh counterpart. It is often called for marinades and dips since it disburses well in liquids and imparts a mild garlic flavor. Even though fresh garlic is called for in many recipes, we’ll sometimes opt for the powdered version depending on the time we have available, the desired outcome, or even our mood at the moment. So, the question came up…what’s the difference between the two? Does garlic powder have the same health properties as fresh garlic? Garlic powder contains many of the same nutrients found in fresh garlic, but in lesser amounts. This is to be expected since processing food usually decreases nutrients to some degree. While garlic powder does contain alliin and allinase, the components found in fresh garlic that produce the valuable compound allicin, allicin itself if not found in garlic powder. Allicin is produced when fresh garlic is crushed or finely chopped and allowed to sit for about 10 to 15 minutes before being used. It has antimicrobial benefits, reduces inflammation and is an antioxidant that can help fight heart disease. 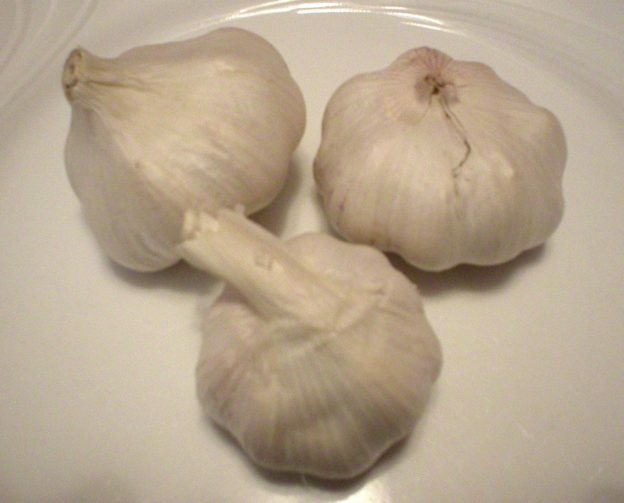 In an experiment conducted at https://www.cooksillustrated.com, researchers learned that allicin can be produced in garlic powder (and thereby giving the powder a better garlic flavor and the health properties of allicin) by first hydrating the garlic powder in an equal amount of water before being used (ie place ½ teaspoon of garlic powder in ½ teaspoon of water and allow the powder to hydrate or soak up water before using it). This allowed time for allicin to be produced and the flavor of the powder to be more like that of fresh garlic. Despite the processing needed to produce garlic powder, the powdered version seems to still help to regulate blood pressure, lower cholesterol levels including reducing plaque buildup in arteries, benefit the immune system, lower some cancer risks and help with digestion. To get the most health benefits from your garlic powder, hydrate it first in an equal amount of water and allow it to rest for 10 to 15 minutes to allow allicin to develop. So, although fresh seems to be best, garlic powder appears to be a very close second in terms of health benefits. Julia W. Klee (Judi) began her journey enjoying “all things food” in elementary school when she started preparing meals for her family. That love of food blossomed into a quest to learn more and more about health and wellness as related to nutrition. She went on to earn a BS Degree in Food and Nutrition, then an MS Degree in Nutrition. She has taught nutrition and related courses at the college level to pre-nursing and exercise science students. Her hunger to learn didn’t stop upon graduation from college. She continues to research on a regular basis about nutrition as it relates to health. Her hope is to help as many people as possible to enjoy foods that promote health and wellness. This entry was posted in Food, Misc, Nutrition and tagged garlic powder vs fresh garlic, health benefits of garlic powder on March 27, 2019 by Judi. Judi on Stop Crochet Pain NOW!!! Tabitha on Stop Crochet Pain NOW!!! @ 2014 JudiKlee.com. All Rights Reserved. Disclaimer.